With the summer fading into the distance in Europe, heres something to get your fire stoked. 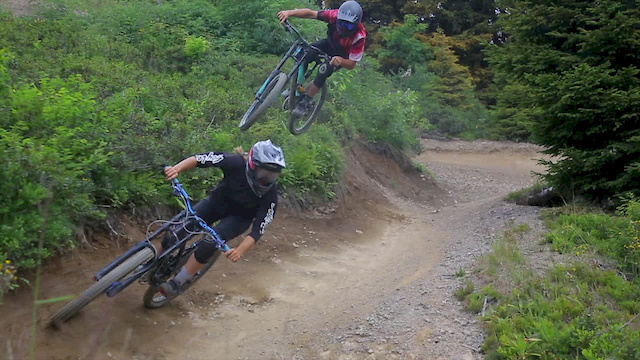 Stan’s NoTubes riders Veronique Sandler and Joel Anderson let loose, lighting up Morgins bike park. With the pair blowing up turns and sending gaps before trying new stunts in Champery. never saw a girl shredding this hard! Damn, way to rip! 36sec mark she comes up short. Looked like it was a hard landing. whats the name of the song?,this is so sick! F*cking Shrederrrz! This is lit.